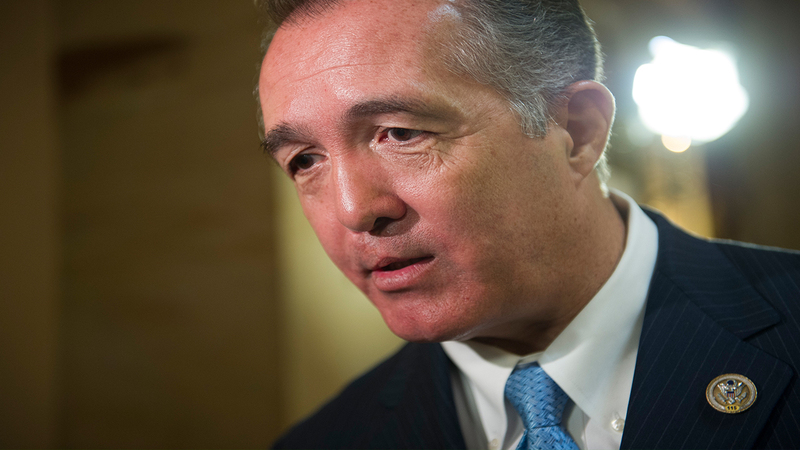 WASHINGTON -- On Thursday, GOP Rep. Trent Franks announced his resignation after ethics inquiries into his discussion of surrogacy with female staffers. Franks' resignation came hours after Senator Al Franken resigned following sexual misconduct allegations. "I have always tried to create a very warm and supportive atmosphere for every last person who has ever worked in my congressional office. It is my deepest conviction that there are many staffers, former and present, who would readily volunteer to substantiate this fact. We are in an unusual moment in history - there is collective focus on a very important problem of justice and sexual impropriety. It is so important that we get this right for everyone, especially for victims. But in the midst of this current cultural and media climate, I am deeply convinced I would be unable to complete a fair House Ethics investigation before distorted and sensationalized versions of this story would put me, my family, my staff, and my noble colleagues in the House of Representatives through hyperbolized public excoriation. Rather than allow a sensationalized trial by media damage those things I love most, this morning I notified House leadership that I will be leaving Congress as of January 31st, 2018. It is with the greatest sadness, that for the sake of the causes I deeply love, I must now step back from the battle I have spent over three decades fighting. I hope my resignation will remain distinct from the great gains we have made. My time in Congress serving my constituents, America and the Constitution is and will remain one of God's greatest gift to me in life."